12 or more - $35.99 ( $467.88 $431.88) . At 7 months I decided to start supplementing because I just could not keep up with what my baby needed. A friend recommended this formula to me because the European standards are so much higher than that of the US. My son took to it no problem. And is a happy healthy little guy growing strong on this formula. Fast delivery. Our baby loves the formula. 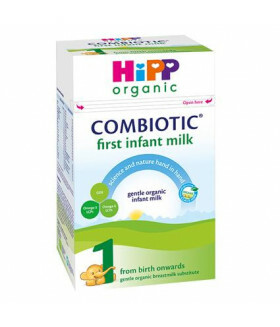 Hipp formula is good quality my 2 month old loves it after trying several different formulas. Finally, we found one she does not spit up,not gassy Thanks to trading depot the formula arrived fast!